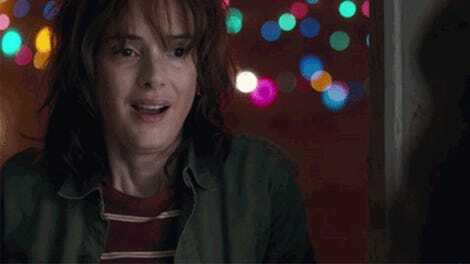 Everyone’s supernatural summer obsession Stranger Things has expectedly been renewed for a second season and, according to its creators, there will be new and stranger-er things. Premiering in 2017, Season 2 of the Duffer Brothers’ ’80s-influenced mystery will feature nine episodes and the same kids but with four additional characters, Variety reports. In an interview with Entertainment Weekly, co-creator Matt Duffer teased the introduction of “new and interesting dynamics that we didn’t see in season 1,” which makes sense since it’s...a new season. The biggest unknown, of course, is the Upside Down and what scientific explanation there might be for its existence. “We obviously have this gate to another dimension, which is still very much open in the town of Hawkins,” says Matt. “And a lot of questions there in terms of, if the Monster is dead, was it a singular monster? What else could be out there? We really don’t go in there much until they go in to find Will at the end. So we’ve opened up this doorway, and to us it’s exciting to talk about, like, what else is behind there?” TELL US.